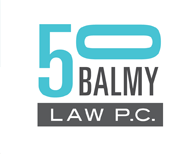 Nonprofit Law | 50 Balmy Law P.C. We are the “go to” firm for arts, culture, and social justice organizations dealing with nonprofit and tax-exemption issues. We help nonprofits through all phases of their life cycles, from fiscal sponsorship, formation and securing tax-exempt status through operation, governance, growth, and even dissolution. After spurious allegations were published in the Los Angeles Times, the firm defended seven nonprofits in the California farm worker movement against an Attorney General’s investigation triggered by the bad press. Our defense resulted in findings of absolutely no wrongdoing.